A brand new North Yorkshire business park scheme is proving popular with only three units out of a total of nine remaining, totaling 1,685 sq ft each, available and still To Let. 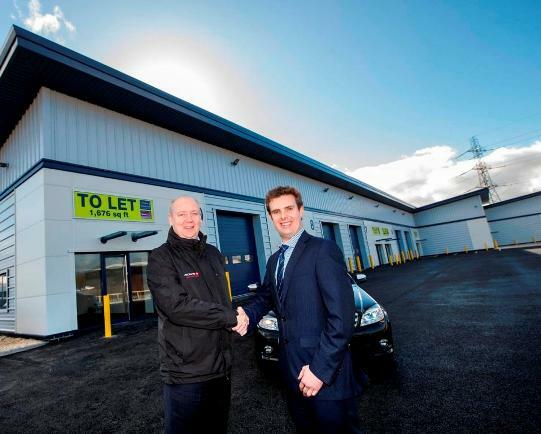 Enterprise Rent-A-Car, Redcape dog grooming suppliers and Redline Specialist Racing have taken up almost 9,000 sq ft of commercial space at Marrtree Business Park, a scheme located on the St James’ Business Park in Knaresborough. A further two units – measuring almost 6,000 sq ft in total – are currently under offer to another two occupiers. National property consultants Carter Jonas and chartered surveyors Carter Towler are joint letting agents for the scheme. Marttree Business Park, at St James was developed speculatively by Otley based Marrtree Investments Ltd, who were aware of a shortage of high quality industrial units in the area. The nine units were built on the last piece of land at the well positioned St James’ Business Park. “Marrtree provides much needed good quality light industrial units – reflected in the fact that we were already experiencing strong demand before the scheme was even completed at the end of last year. “This strong level of demand reflects a greater degree of business confidence and a distinct lack of suitable alternatives across the district. Marrtree Busines Park is located just off the Harrogate Bypass South with direct connections to the A59 York Road and A61 to Leeds. “The Marrtree scheme has provided us with the much needed space to help facilitate the continued growth of the business.